It’s easy to see why this edition of the NHL Winter Classic is a homerun event: two of the league’s hottest teams in Chicago and Washington facing off at Nationals Park on New Year’s Day. The fans aren’t the only ones pumped about what promises to be another thrilling outdoor hockey matchup, this time taking centre stage at a marquee MLB ballpark, namely, the home of the Washington Nationals. 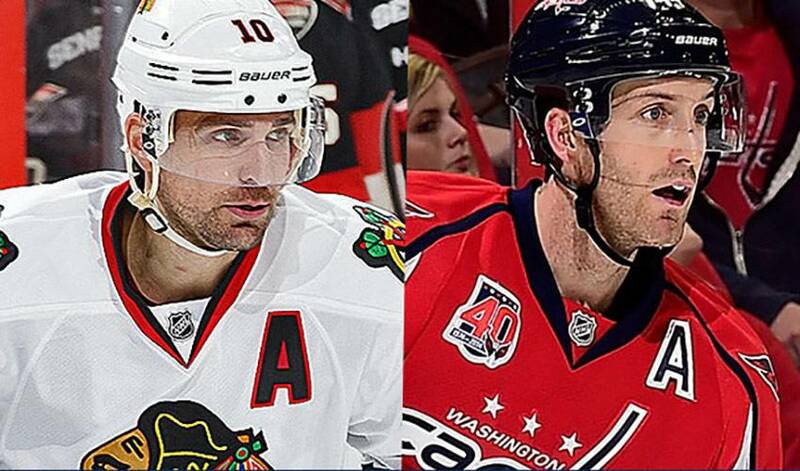 Players from both the Blackhawks and host Capitals have had this game circled in their calendars for a long time. Brooks Orpik, in his first season with Washington after 703 career games with Pittsburgh, has participated in two Winter Classics, including the inaugural contest that took place seven years ago in front of 71,000-plus fans at Ralph Wilson Stadium in Orchard Park, New York. This year’s Classic marks the second appearance for both Chicago and Washington. In 2009, Chicago was defeated 6-4 by the Detroit Red Wings at Wrigley Field (home to MLB’s Chicago Cubs). In 2011, Washington took to the road to face Pittsburgh at Heinz Field (home to the NFL’s Pittsburgh Steelers) and went home with a 3-1 triumph. Sharp, who had one assist in the second Winter Classic, is hoping for a reversal of fortune this time around. In spite of the uniqueness of the Classic, it’s all about skating away with a valuable two points as the push for the Stanley Cup Playoffs ramps up.